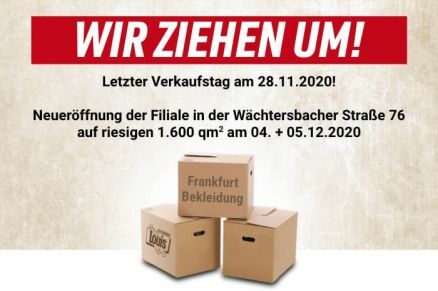 Welcome to the Louis FUNSHOP in Frankfurt/Main. Europe's no. 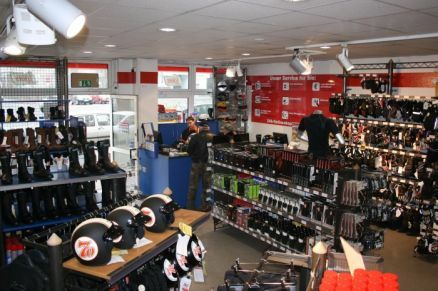 1 for motorcycling and leisure has two stores here with different product lines that complement each other perfectly: Clothing and Technology. Our highlights: • exceptional selection of brands • huge range of motorcycle helmets • ultra-cool textile and leather clothing • range of boots, gloves and kidney belts • complimentary coffee bar • home delivery service on request if your purchase is just too big to get home • and of course, our helmet care station with complimentary visor cleaner Also good to know: all Louis customers get one hour-free parking in the adjacent multi-storey car park! So why not drop by soon and check out our offerings – we look forward to welcoming you! 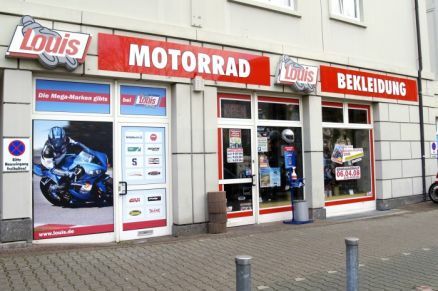 Note: you will find children's clothing, children's helmets and motocross attire in our nearby Louis stores in Darmstadt, Mainz and Aschaffenburg. And, of course, online!